Sri Ramana Maharshi is regarded as one of the most important Indian sages of all time. At the age of sixteen, he experienced a spiritual awakening and travelled to the holy mountain of Arunachala, where a community grew up around him. From there, he touched the lives of influential writers, artists, and seekers such as Carl Jung, Henri Cartier-Bresson, and Somerset Maugham. Today, millions around the world continue to be inspired by his teachings. 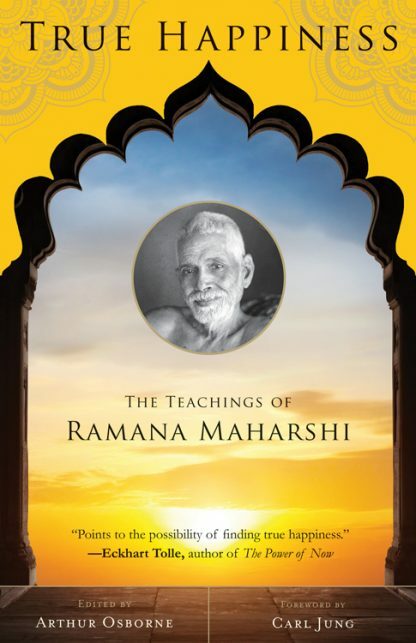 Edited by his pupil Arthur Osborne, this classic work sets out Sri Ramana Maharshi's thoughts on such subjects as how to live in the here and now, wealth, freedom, knowledge, and the essence of our true nature. It has been long-established as a classic text for those studying non-duality, specifically Advaita. Self-inquiry is the key to liberation, Sri Ramana contends, as he invites us to detach ourselves from our illusions and set out on the path that leads toward enlightenment. Arthur Osborne (1906-1970) was an English writer on spirituality and mysticism and influential disciple and biographer of Ramana Maharshi.